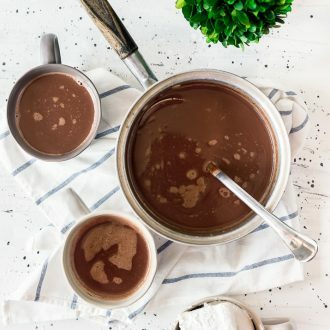 This French Hot Chocolate is rich and creamy and perfect for the holiday season! Made with just a few ingredients, everyone will love this thick and chocolaty winter drink! French Hot Chocolate is one of my favorite indulgences during the holiday season. This rich and decadent drink recipe walks the line between liquid and pudding and I absolutely LOVE it! Are you a hot chocolate lover? Have you ever had French Hot Chocolate? What about Italian Hot Chocolate? Or Spanish or Mexican of Belgium? Honestly, I don’t think one is really better than the other, they’re all absolutely magnificent in their own way, but I think French is my favorite out of the pure simplicity of the recipe itself! How Do You Make French Hot Chocolate? 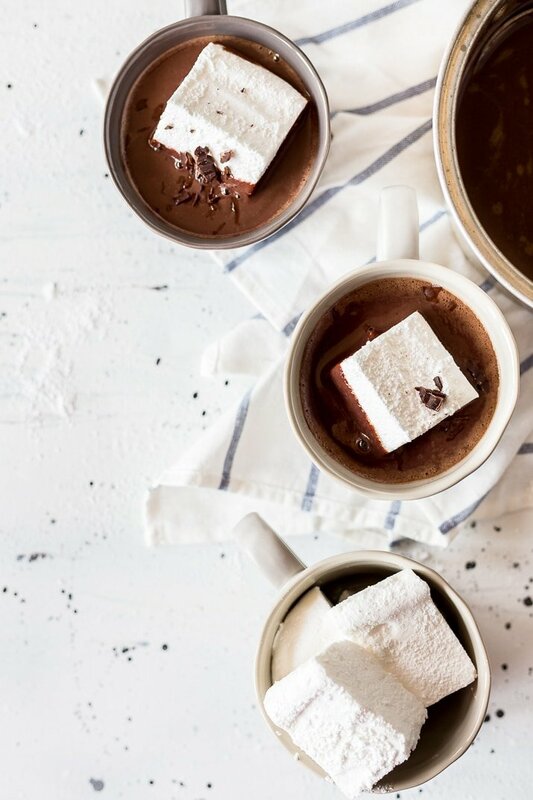 Ways to make this hot chocolate over the top! Homemade Whipped Cream – Nothing beats the classic whipped topping am I right? 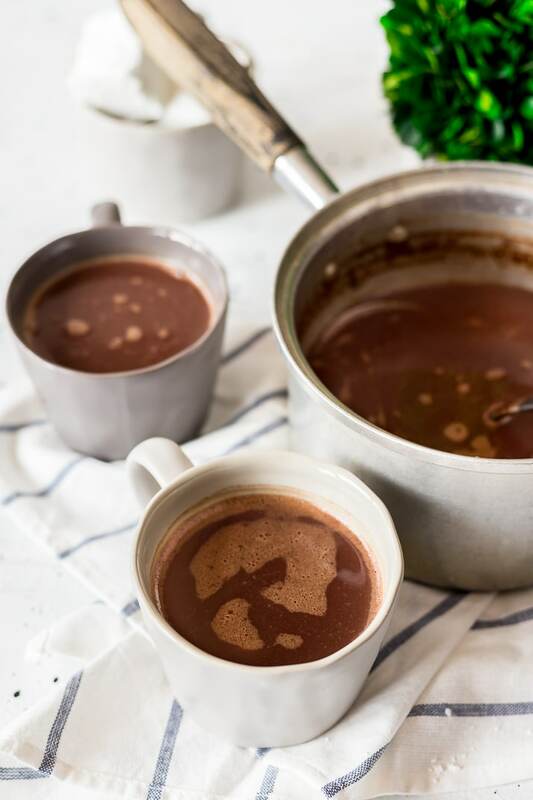 Brown Sugar – Add a tablespoon of light brown sugar to the chopped chocolate before pouring the milk mixture over it, you’ll love the depth it adds to the drink. 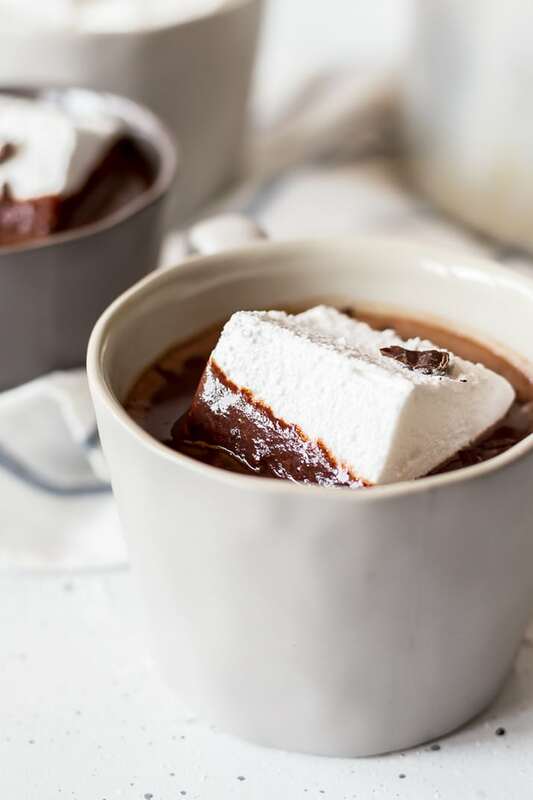 Irish Cream – If you feel like making things a little boozy, a splash of Irish Cream can make a great addition to any hot chocolate! Super Cute Mug – Now, I don’t know about you guys, but a cute mug always makes hot chocolate taste better! 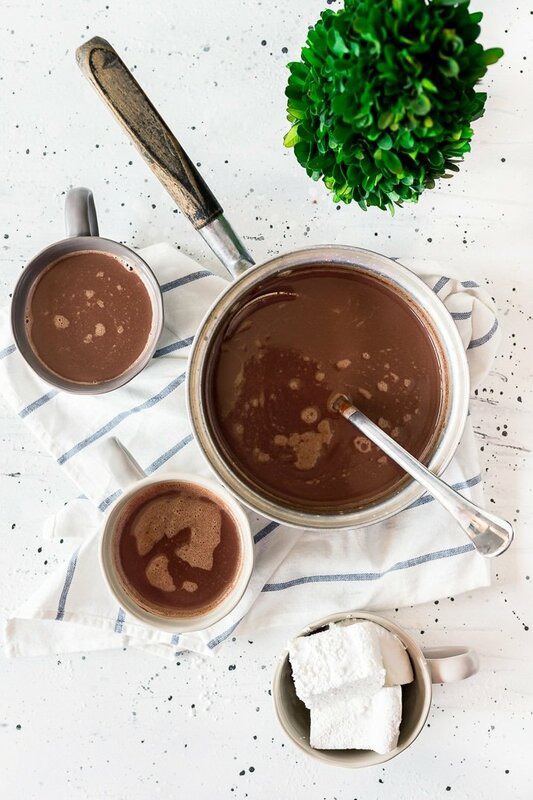 Pin this French Hot Chocolate Recipe for Later! See how to make this French Hot Chocolate in the video below! Remove from heat and add in chopped chocolate, let sit for 2 minutes, then whisk until a rich chocolate color forms. Let sit for about 5 minutes. Pour hot chocolate into mugs and finish off with whipped cream and chocolate shavings.